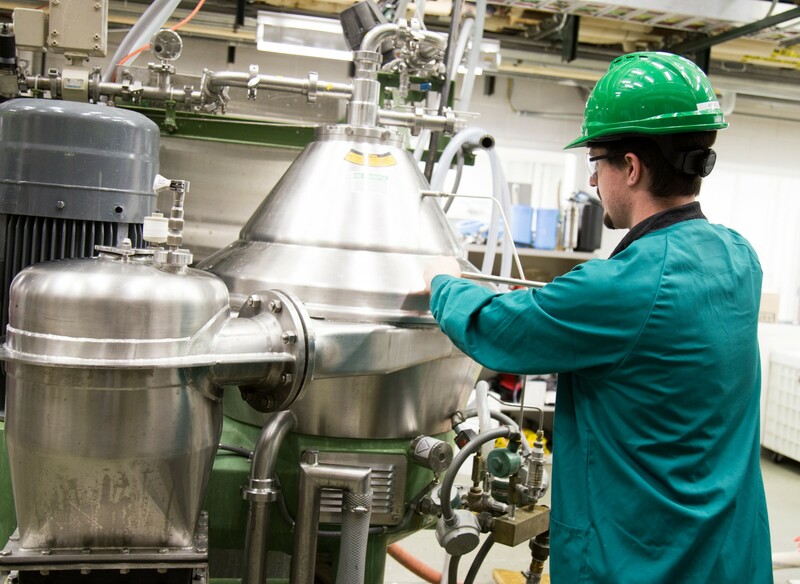 If you cannot separate end products from the chemicals used—or processed—during biobased processing, then ultimately the technology cannot be scaled or commercialized. MSU BI has both lab and pilot-scale capabilities and expertise to develop and carry out separation, purification, conversion, and recovery. Our team is committed to collaborating with you to either develop new product separation/purification processes or to develop and scale existing processes. We offer the equipment and staffing you need to separate and purify large quantities of biobased chemicals, for both application and testing.